Top spot in Group D is still to be decided and it will come down to the final game, which is taking place in Malaga on Friday night. Whoever wins this game will be the group winner. The hosts have a 7-1 record against the 8-1 record of the away team but as Malaga inflicted that defeat on CSKA in Moscow, a home win on Friday sees Malaga taking the top spot. This is a game that both sides will be keen to win. The hosts may be in second place at the moment but they can take a great deal of confidence from the fact that they are the only team who has defeated CSKA Moscow this season. That came in a 78-86 triumph last month with Edwin Jackson bagging 24 points, from the bench, and Mindaugas Kuzminskas grabbing 22 points for the winners. These two players will need to perform the same sort of tricks and magic on Friday night if the home fans are to celebrate long into the night and the New Year. 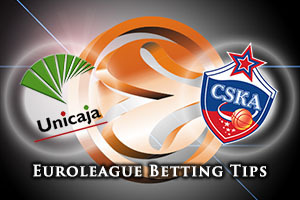 Malaga know that they can defeat CSKA and that may make all the difference this week. While CSKA Moscow knows that Unicaja Malaga are the only team to have defeated them this season, they don’t need to dwell on that. Wins in every other game has assured qualification and what better way to get revenge than by condemning Malaga to second place in front of their home fans. Nando De Colo and Milos Teodosic have been in tremendous form this season for the Moscow side and if they can perform to a high level again on Friday evening, it could be the Moscow contingent who has plenty to smile about. This is a game that could genuinely go either way. 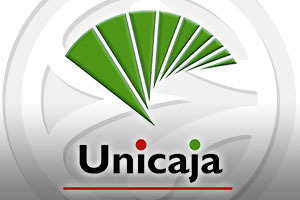 The bookmakers are making Moscow clear favourites so take Unicaja Malaga with a +6 handicap at odds of 1.90. When it comes to the Over/Under market for this game, be sure to go OVER 161.5 at odds of 1.90. Bet Now!